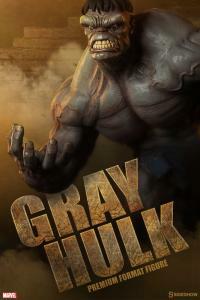 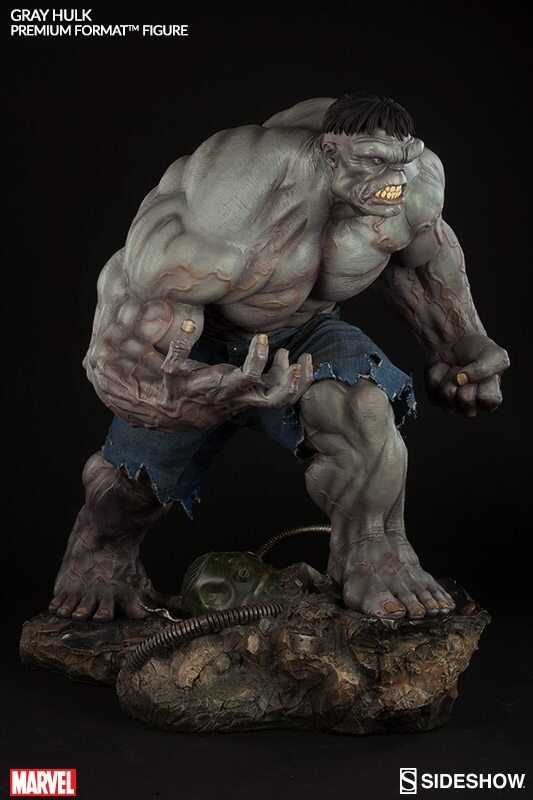 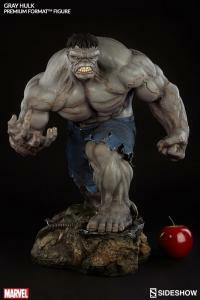 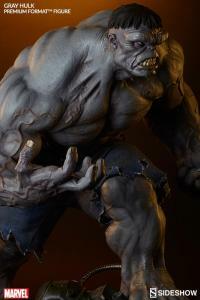 Joining the Incredible Hulk and Red Hulk, Sideshow Collectibles is proud to introduce the Gray Hulk from our Marvel Comics Hulk Premium Format™ Figure series. 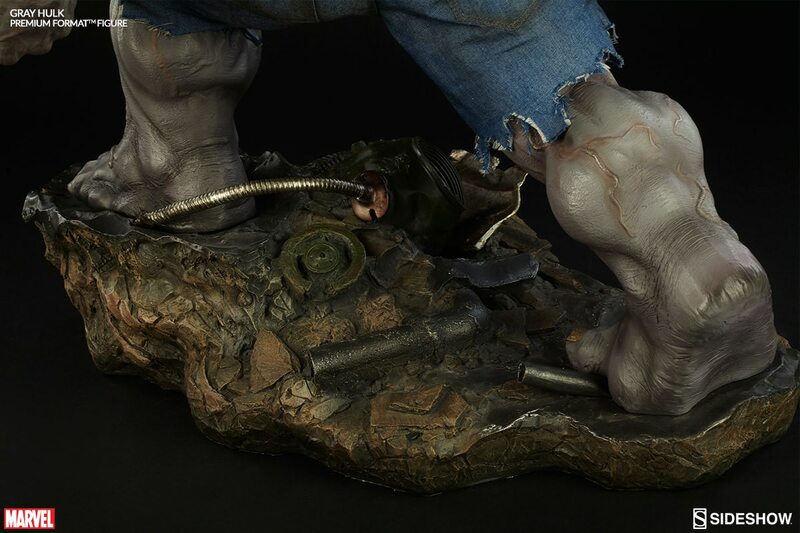 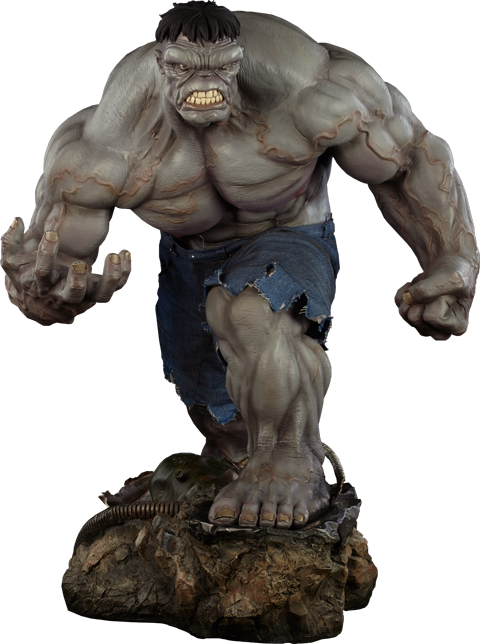 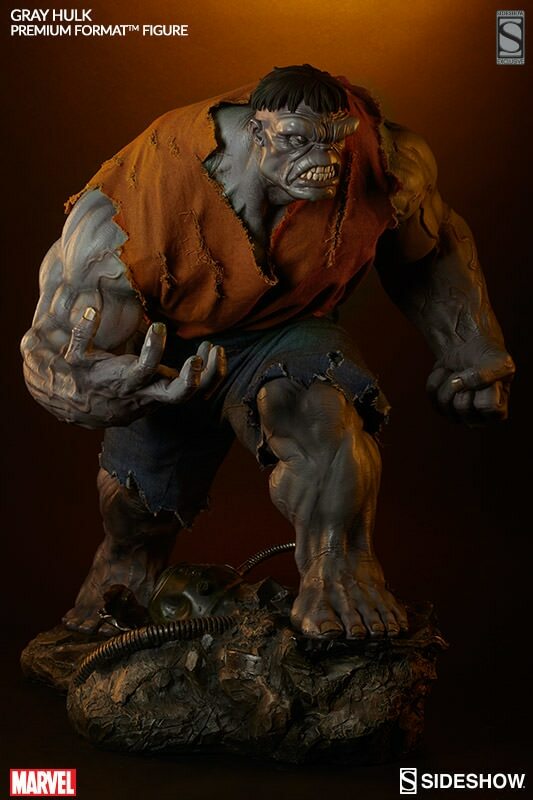 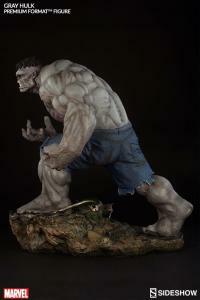 A fantastic tribute to the original character design by Stan Lee and Jack Kirby, Sideshow's artists have captured the full menace of Hulk's gamma-fueled fury as he was first depicted in Incredible Hulk #1. 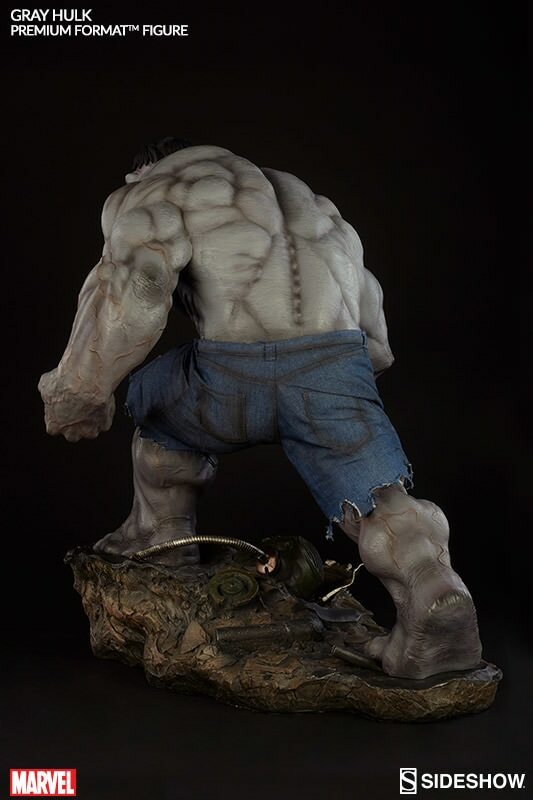 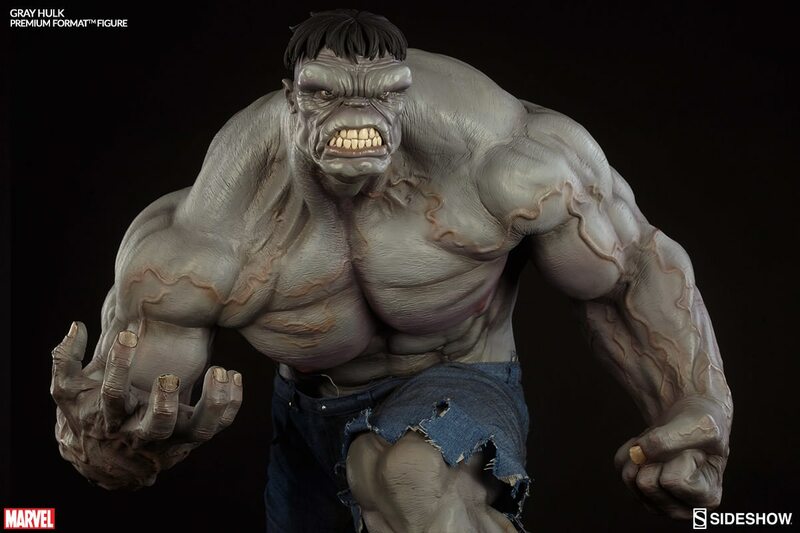 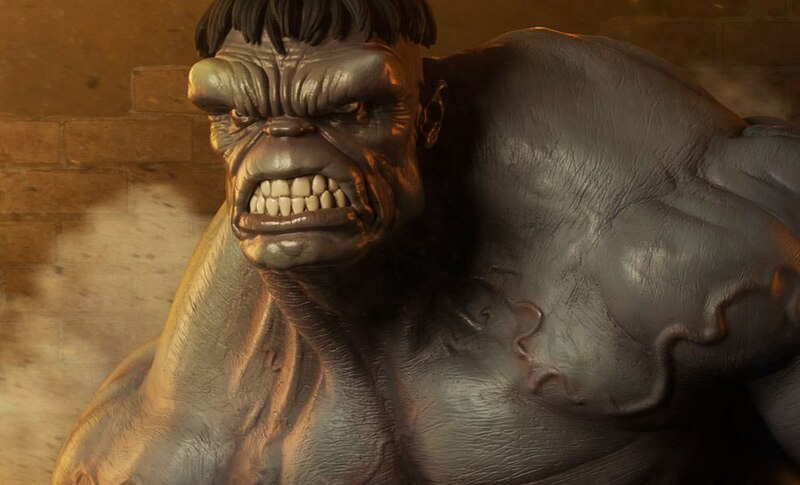 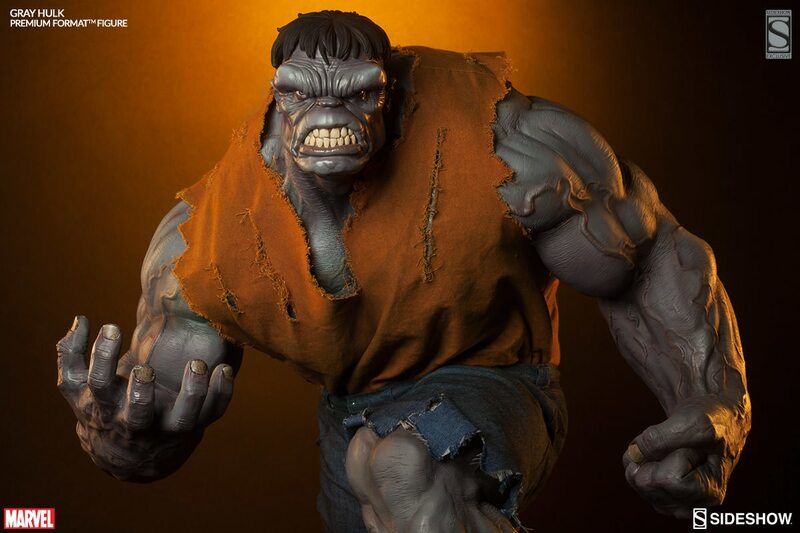 Featuring the hallmarks of his classic look, Bruce Banner's alter ego is all muscle in his shredded denim shorts, with a prominent brow and monstrously intimidating scowl. 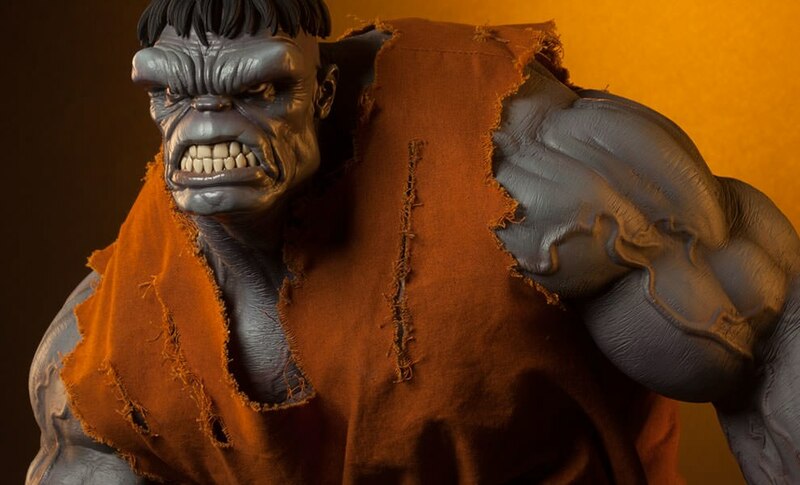 Rampaging onto the scene in one quarter scale, Hulk tears up the terrain with one hand outstretched to taunt his enemies, and the other ready to deliver a mighty blow. A time-honored champion of the Marvel Universe, the Gray Hulk Premium Format™ Figure is a must have for fans of the Hulk! 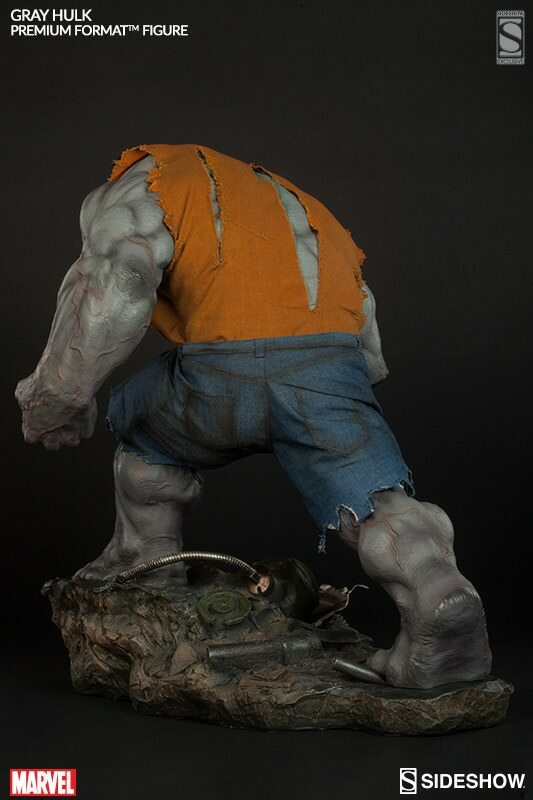 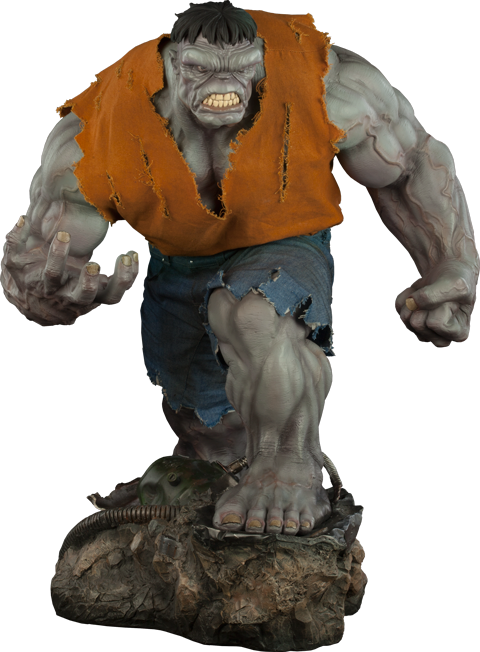 Featuring the hallmarks of his classic look, Bruce Banner's alter ego is all muscle, with a prominent brow and monstrously intimidating scowl, shredded denim shorts and fluorescent orange shirt. 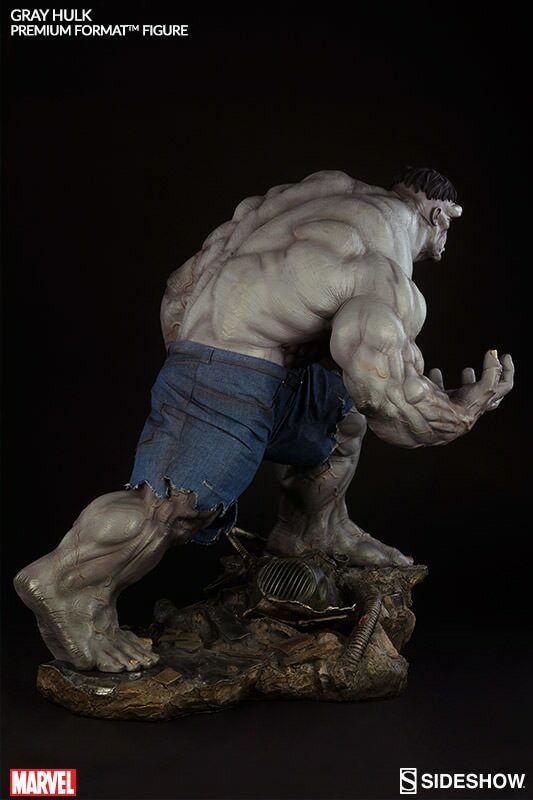 Rampaging onto the scene in one quarter scale, Hulk tears up the terrain with one hand outstretched to taunt his enemies, and the other ready to deliver a mighty blow. 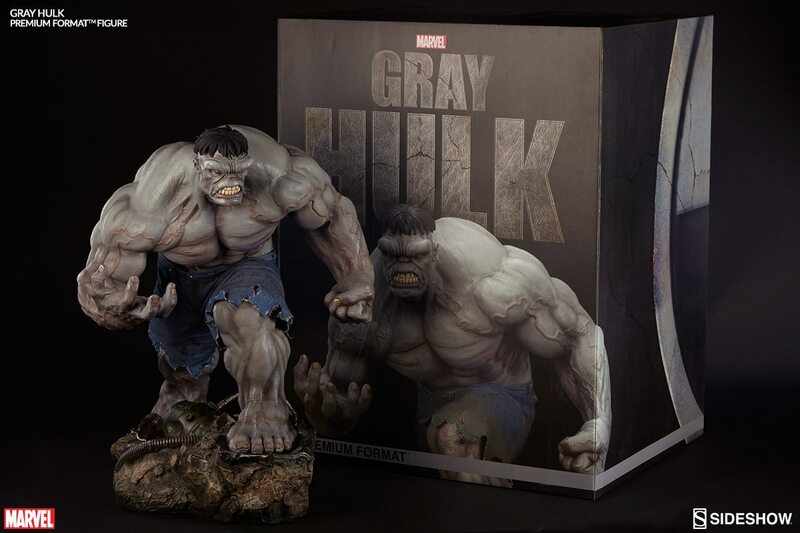 A time-honored champion of the Marvel Universe, the Gray Hulk Premium Format™ Figure is a must have for fans of the Hulk!